One of the great things about the internet for small businesses is the ability to market yourself to your target market in any part of the world without having to jump on a plane and hand out business cards, undertake extensive brochure distribution or be part of a wholesaler programme that demands large commissions and inflexible pricing and inventory allocations (particularly hard to achieve for smaller tourism operators). Having your own website is a great start, but hoping the high spending European travellers will find it just through search engines is not always easy to achieve. 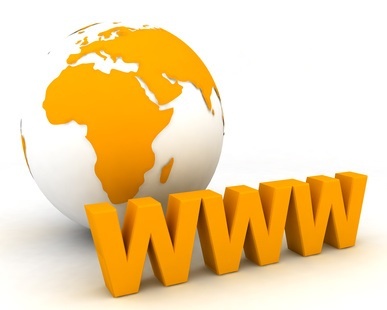 So a key way to get your website seen online by the overseas markets is to list on international travel websites. You may start off by identifying your target markets and research what international travel websites are popular by the population there. For a free and easy source for up to date global traffic rankings check out the Alexa.com Travel website category. PhocusWright also provides online travel research (at a cost) for markets worldwide which can be an excellent detailed source if you have the funds to buy the research and wish to have a thorough understanding of the online travel market for a particular country or region. Below are examples of some of the key travel and booking websites that can provide you with global exposure to get you started. With many of the global booking websites you will find your booking information is fed through to a number of affiliate websites as additional benefit. All of these sites below are free to list on and for the booking sites they take a commission (usually 10%). NewZealand.com: Tourism New Zealand promote their website to all key markets for New Zealand, and being free to list on for any type of tourism provider it’s a no brainer to be on there. It still surprises me when I find an operator who isn’t on there! If you aren’t then go ahead and register for free now. Expedia (also Venere) – One of the top travel booking websites worldwide for accommodation, activities, flights and car rental. Travelocity – Similar to Expedia, Travelocity has a comprehensive product range and global exposure. Wotif – An important site for Australian accommodationbookings and very much Australasian focused, Wotif also lists relevant operators on their partner sites Lastminute.com.au, Travel.com.au, AsiaWebDirect.com and LateStays.com. Tripadvisor – The major travel review site that also shows rates and connects through to bookings if you are listed on one of their affiliate booking sites. Note: When listing on a number of instant booking websites as identified above it’s beneficial to use a Channel Manager that automates updates of your pricing and availability information across all websites to save time and importantly avoid overbookings. Another way to get exposure in offshore markets is through Google using their Adwords product. You can set your own budget and select which countries and even what regions within countries you can target. This article on Business Blogs will give you “Tips to get the Best out of Google Adwords“. If targeting foreign markets it would be a good idea to get advice from someone who knows the language and customs to help with writing the ads and identifying terms for the keyword searches used to trigger your google ads. Using these basic strategies above will give you an ongoing way to have online exposure globally, and Part 2 for this article by Robyn Bolton focuses on traditional distribution strategies to target international markets. Lived and travelled around NZ had inspired me to establish my local initiative here on the touristy Sepik river, PNG. Sepik Eco Adventures (SEA) seeks to establish partnership or be a contact point with outbound tour operators who might wish to expand tourism market destinations.